Week 1: Off to a Rocky Start, but here’s to 2017 being better! First off: HAPPY NEW YEAR!! I am so excited for a fresh start, I think 2017 is going to be an excellent year for everyone. I am really looking forward to getting my act together this year and really pushing myself. 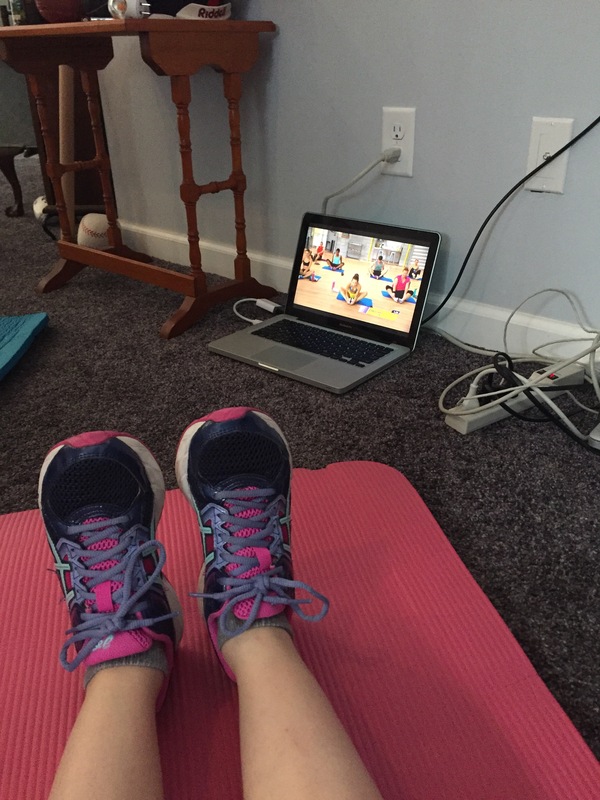 That being said…let’s talk about week 1 of the 21 Day Fix. DAY ONE started off great. 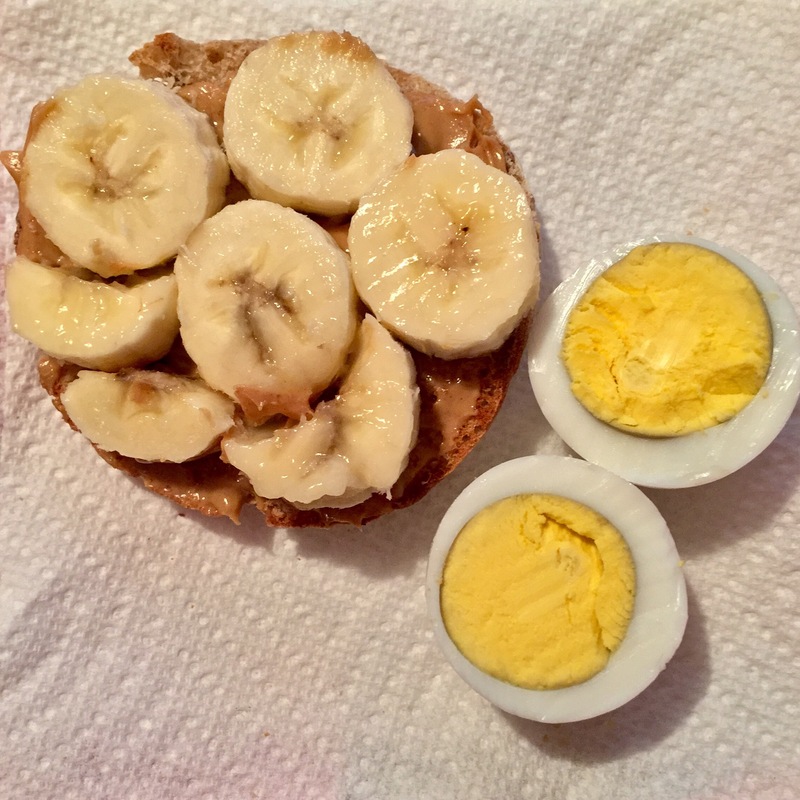 As you can see from my photos below, I had a yummy breakfast with half a whole wheat english muffin (carb), one hard boiled egg (1/2 protein), half a banana (1/2 fruit), and a teaspoon of peanut butter. MMMM was it good! And it was a great way to start the day and keep me on the right track. We followed the schedule (ish) and did the Total Body Cardio Fix, Upper Fix, and Cardio Fix. My mom’s legs were killing her on day 3 for some reason so we skipped lower fix and did another cardio fix. Day 4 we walked around the neighborhood and ran a lot of errands, and counted that as somewhat of an active rest day. Day 6 was New Years Eve, and we didn’t get to do any sort of workout. I was just a little too hungover and I didn’t leave my friend’s house until 3 pm. 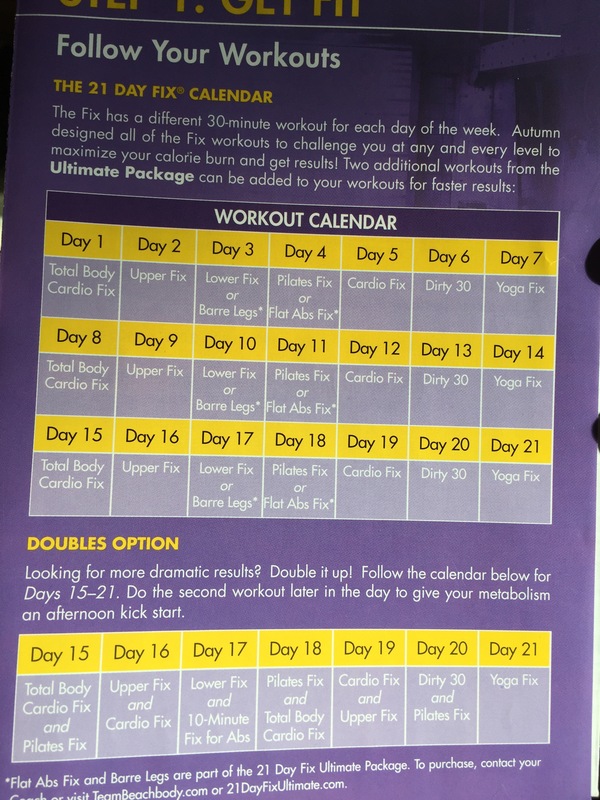 Day 7 — Today, we will do the Dirty 30 that we didn’t get to do before. Here goes nothing!! My mom and I after our first workout! Well, I ordered Shakeology, but it took awhile to get here. In the meantime, I had a bunch of sampler packets of Quest Protein powder that I figured I would use for after my workouts. I worked it into my meal plan just fine. I have to say, I really enjoyed them. I tried Vanilla Milkshake, Chocolate Milkshake, and Strawberries and Cream so far. They all have tasted AMAZZZINNGGGG and just like a milkshake, I SWEAR. However, my shipment of shakeology has arrived today! They are also single serving sample packets of every flavor. So my 21 day fix journey will also include sampling every kind of protein powder/meal replacement powder out there (ok, maybe not ALLL of them.) I tend to be very picky about these kinds of things, because i’m not a huge smoothie/shake person to begin with. Anyone who knows me, knows it takes me 9 years to finish any drink, be it coffee, tea, milk, smoothies, shakes, and even water. So I really have to find a brand and flavor that I will enjoy enough to not take 9 years to finish. *I will post an update specifically on all the different flavors I’ve tried once I’m done!! Now let’s talk about why i’m off to a rocky start. DAY 1: I had a secret santa with my friends. I knew I was starting the fix, and I had even prepped food and snacks so while they’re munching on cookies or whatever, I could eat my own food. We held it at my house, so this should have been easy for me. WELL. My friend brought 2 large regular pizzas and 1 small GF pizza…for 4 girls. So she was getting a little peeved that no one was super hungry and I had prepped my own meal. My other girlfriends also brought homemade cookies and peanut butter balls. I am the kind of person who feels guilty not eating someone’s food that they cooked or baked JUST for you, or JUST for this specific occasion. So I had a slice of pizza. I had a cookie. But the taste just triggered something in me- and I became unaware of my own body and actions as I reached for another slice of pizza, and another peanut butter ball. OH GOD HOW AM I DOING THIS ON DAY 1!?? DAY 2: Ok, ok… no worries. 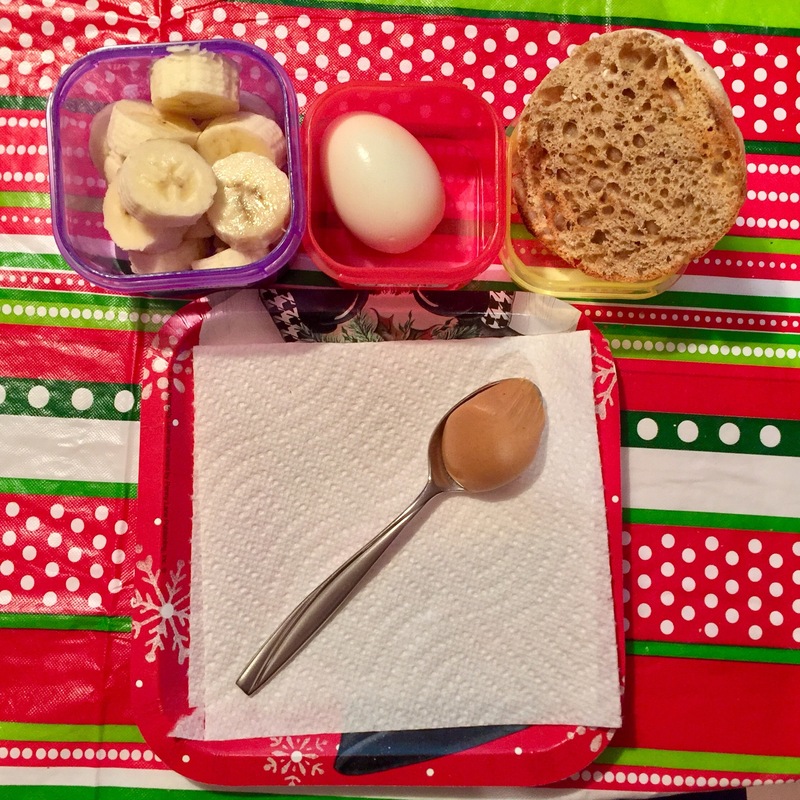 My breakfast was good, my lunch was good, we did our workout…. BUT WAIT. We apparently had family dinner plans to go out to THE MEAT MAN!! That’s what we call our favorite Portuguese restaurant in Newark, NJ – Fernandes. Mmmm, Rodizio. My mouth was watering. NO. NO, I cannot have all you can eat steaks and chicken and pork. THAT IS NOT IN THE FIX MEAL PLAN!! Can you guess what I ended up getting? Don’t ask how it happened, it was like I couldn’t escape it. I tried, I really did try to order something else. But in the end, those delicious, mouthwatering garlic sirloins and filet mignons wrapped in bacon made their way onto my plate somehow. Oops. Better luck tomorrow. Day 3-4: Quiet… I did ok on these days, I think. We ordered sushi on Thursday but I stuck to basic, brown rice, salmon, avocado. Day 5: New Years Eve. YEAH. Like that’s going to work with my 21 day fix that isn’t even going well to begin with. I stuck with the plan up until I got to my friends house at about 5pm. Then, it was vodka & seltzer waters, quesadillas, and SO MANY MUNCHKINS for the rest of the night. WHY oh WHY did someone bring 100 munchkins?! The more I drank, the more I couldn’t resist their sweet temptation. UGH. No one said this was easy. I should work harder to resist such temptations, to prepare myself for such obstacles and bad influences. My only saving grace is that I will be FINALLY going back to work tomorrow, and having a regular schedule, working 6am-2pm M-F, is the only thing that will keep me on track for the next two weeks. HOPEFULLY, I can do well enough in the next 14 days to really see a difference. Here’s to 2017 having more willpower in it than 2016 did. Meal Prepping: The Struggle is Real!